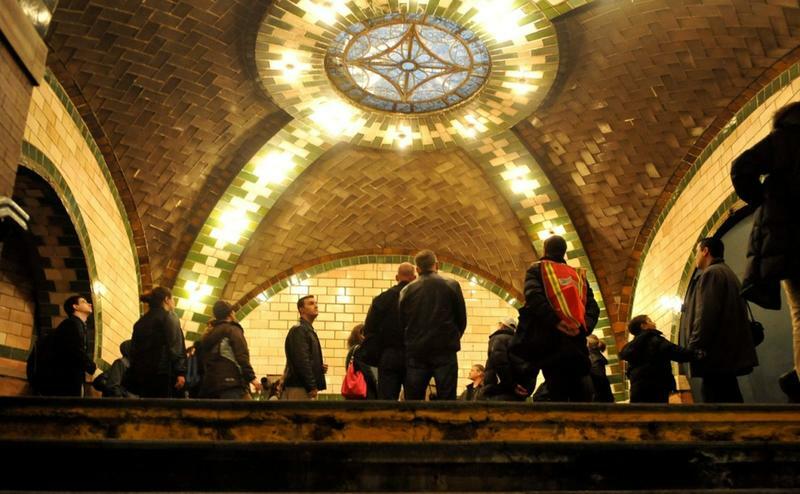 Even if you use New York’s subway system every day, you’ve probably never walked through the City Hall station. 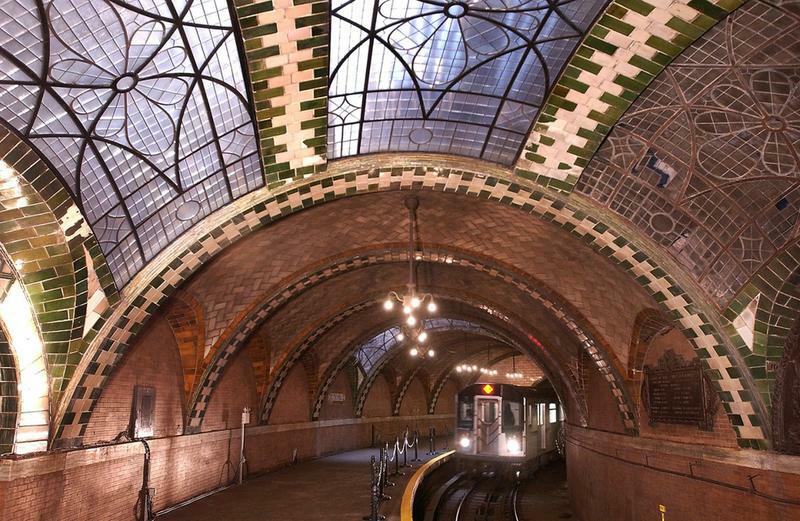 The subway has been closed since 1945 but was never demolished. 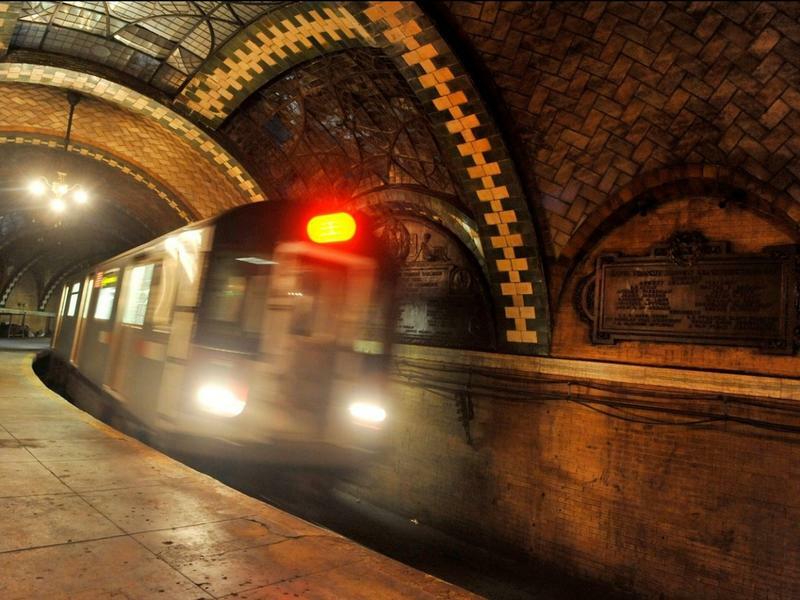 To this day, after the 6 train makes its final downtown stop at the Brooklyn Bridge station, it travels through the old City Hall station in its route to turn back uptown. 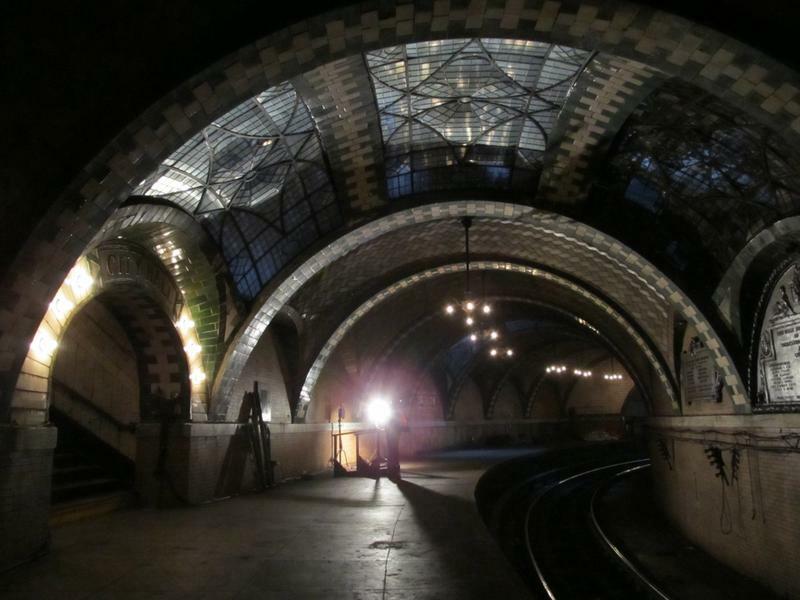 The New York Transit Museum hosts tours of the abandoned City Hall station at various times throughout the year. For the regular New Yorker, it’s not so easy to get inside. The tour is only available to museum members, and it’s almost always sold out, with a long waiting list. You even have to pass a background check before you’ll be allowed in. 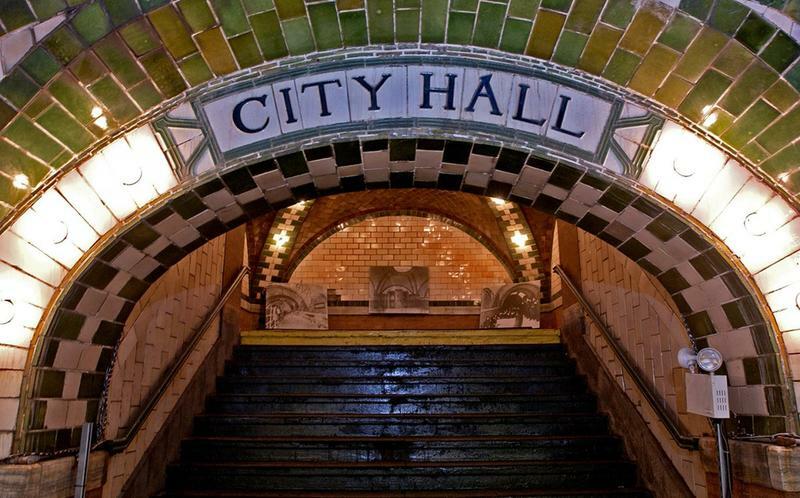 When the City Hall station first opened in 1904, the fare to ride the subway was a mere five cents. Elevated subway transportation had been implemented in the city decades earlier, but City Hall station, the southernmost stop in Manhattan, would be one of the first stations built on a new underground line. It became the poster child for the entire New York subway station. The subway would go from there, to Grand Central, Times Square, and then all the way north to 145th street in the Bronx. George B. McClellan, Jr., who was the mayor of New York at the time, believed that this, along with the other new underground stations that formed the Interborough Rapid Transit Company (or the IRT), would cement New York as a truly great city. The station’s curved entryways and ceilings — there are no straight lines anywhere — are some of its most notable design features. There are also no columns on the platform to block your view. Other unique elements include electric chandeliers, oak furnishings, white terra cotta, and decorative plaques. Despite City Hall’s beauty, the larger, and more convenient Brooklyn Bridge station nearby grew more popular over time. Traffic at the City Hall station declined, and even though it had weathered the Great Depression and World War II, the station closed on the last day of the year in 1945. In 1979, it was granted interior landmark status by New York City. Safety and security concerns are the main reasons why the MTA does not regularly open the space to the public. If you want to experience the City Hall station for yourself, your best bet is to get a Transit Museum membership, which costs between $US35 and $US50 a year.